Alex put the pingus to bed and I collapsed on the sofa for a disco nap. I went to sleep faster than Zoey. 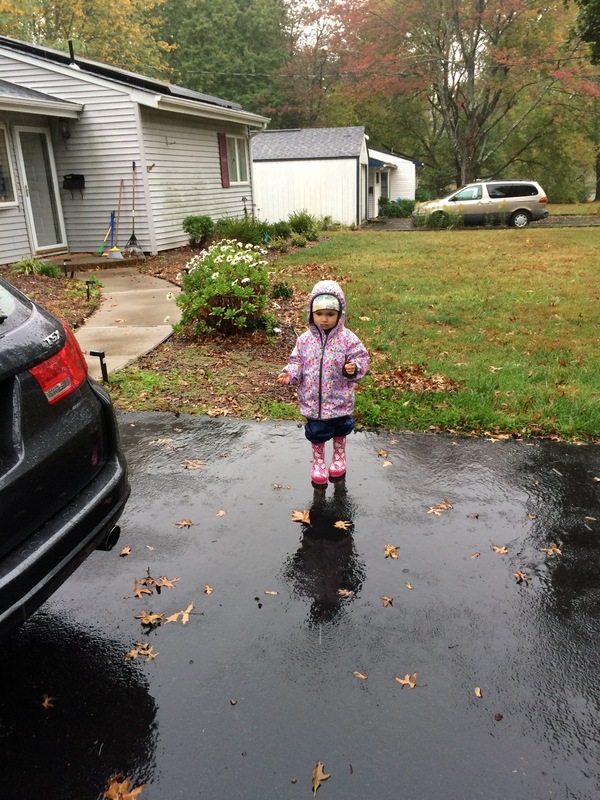 We woke up to rain so as soon as we were done with breakfast it was wellies on and puddles! 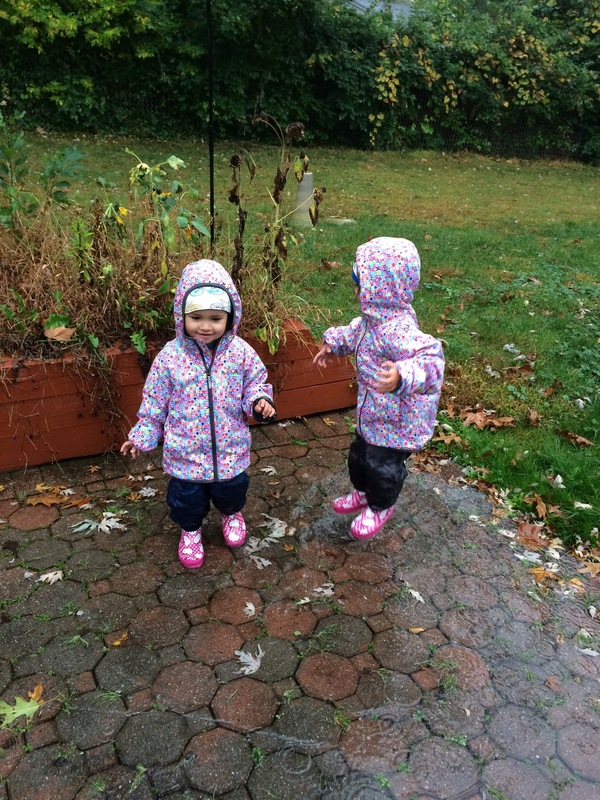 Their joy at being out in the rain outweighs my desire to have a second cup of coffee. Inside. Sitting down. It was a day of errands and we went to the mall so we rode the escalator a lot. The simple pleasures of puddles, escalators and piggy back rides. It’s great hanging around two year olds. Previous “Yes Zoey it is the weekend tomorrow!” Next Hats! Pies! Oh my! It really is great, isn’t it? It think it’s easy for it not to be, but once you give into it and just hang with them, you realise it’s a lot of fun!